The Rolling Donut is an Irish owned family business founded by Michael Quinlan in 1978. Michael began running a donut concession called The Rolling Donut at concerts, shows and festivals in the late 70s. Following that he set up the little donut kiosk on O'Connell Street that Dubliners know and love in 1988 and over 40 years later continues to make its mark. Michael's daughter Lisa spent her childhood learning all there is to know about donuts. In 2016 she expanded the range to freshly made sourdough & vegan donuts and opened their first Rolling Donut Store on Bachelor walk. 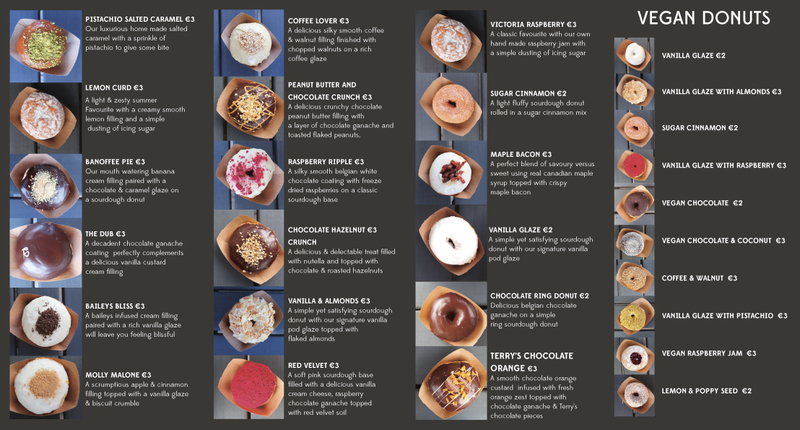 She has spent the last two years growing and developing The Rolling Donut brand opening four stores in Dublin & thrilled to be opening a new unit in Kildare Village. The Quinlan team are committed to continue producing the best and most delicious donuts for their loyal, regular customers every week as well as creating new and innovative Rolling Donut products to excite customers for generations to come. The Lily White signature donut.